Finding out that your child has been involved in an accident is one of the most stressful things that can happen to a parent or guardian. The need to be assured that your child is physically and emotionally alright is often overwhelming. In situations where a child has been injured as a result of an accident, many parents are so frightened and upset that they are not sure what to do next. Though panicking and lashing out at whoever is at fault is a parent’s first instinct, staying in control and knowing what to do after your child is in an accident is the best way to secure compensation for your child’s injuries. Documenting the accident is the first thing that all parents and guardians must do when their child is in an accident. Most minors have a hard time remembering details so it is in the adult’s best interest to gather as much concrete information as possible. If the adult is present at the time of the accident, they should take pictures and videos of the entire accident sight. In situations where the adult does not see the accident, they should take pictures of the injuries, the vehicle that was involved, and write down everything that your child can remember. Witnesses are also extremely important when a minor child is in an accident, especially if the child is under the age or ten or not able to read and write on their own. Other passengers, drivers, and other people in who were in the area may be able to provide you with a clearer picture of what happened. Ask these witnesses what occurred, write down what they tell you, and gather their contact information in case you or anyone else involved in the accident needs to contact them later. Children who are treated at an emergency room or urgent care are often seen by a general practitioner instead of a pediatrician. 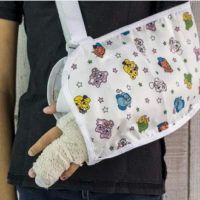 While an emergency room doctor can make a basic diagnosis, they are often unfamiliar with injuries that are unique to children. Fractures to growth plates or other injuries that are unique to growing children should be treated by a pediatrician and a specialist. Always seek follow-up care from a specialist as soon as possible to make sure your child’s injuries are not overlooked or misdiagnosed. Personal injury cases that involve minor children are often complex. In addition to the child’s immediate medical needs a parent must be sure that their children receive compensation for medical problems that may arise in the future. Florida law requires court approval of settlements over the amount of $15,000.00 to ensure that the best interest of the minor is taken into account. In order to avoid issues with court petitions, improve chances of coming to an agreement that a court will approve of, and be sure your child receives fair compensation, an attorney should be consulted. If you or someone you know was recently in an accident involving a child, the Mander Law Group can help. Our law group’s attorneys have previously helped settle personal injury cases and can provide you with the assistance you need. Conveniently located in Dade City, our personal injury attorneys are able to provide you with a free consultation. Call us today at 813-948-1422 (Zephyrhills office) or 352-567-0411 (Dade City office) to schedule an appointment.